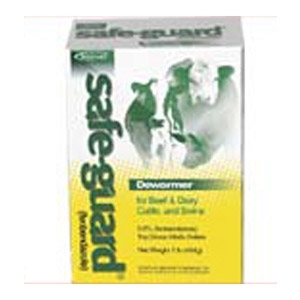 Dewormer for beef & dairy cattle and swine. For the removal and control of: Lungworms; Stomach worms: Barberpole worms, brown stomach worms, small stomach worms; Intestinal worms: Hookworms, thread-necked intestinal worms, small intestinal worms; Bankrupt worms; Nodular worms. 5 lb. box.